So i'm experimenting with a brush here and I was talking a lot about Street Fighter since Street Fighter IV has come out. 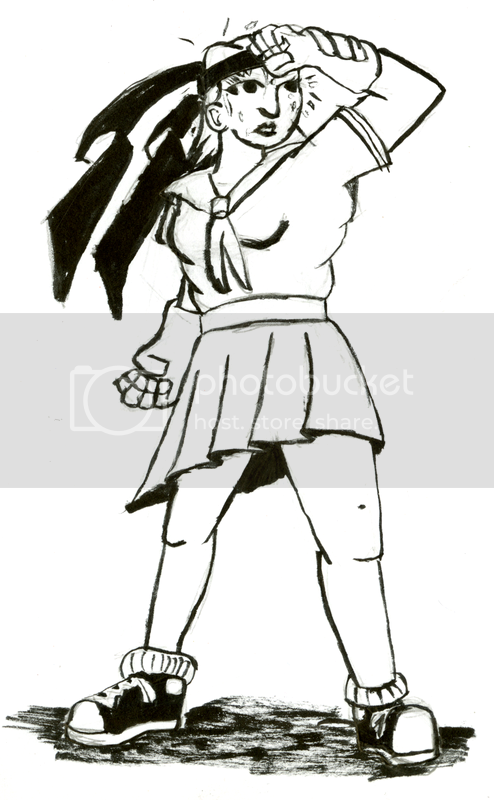 I decided to draw Sakura because I'm a big fan of the Street Fighter Alpha games. She doesn't look much like Sakura - too muscular. The original Sakura was this skinny little wretch, and she was pretty rubbish in the games too. What can I say? I like girls that have some curves on them and that's how I draw them. Here's a piece I am working on in my sketchbook. 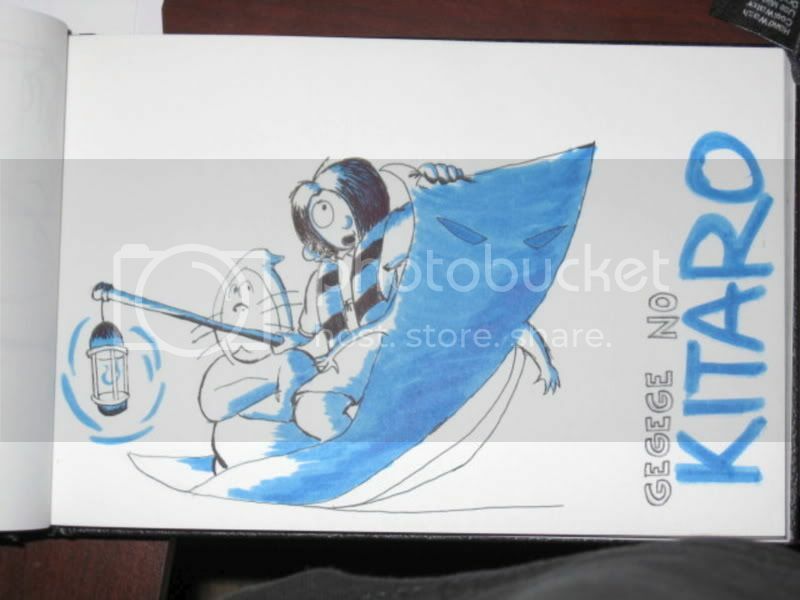 It's fan art of the manga/anime GeGeGe No Kitaro. I really want to read the comic as most of the yokai designs in it are fantastically imaginative. Anyways, I'm experimenting a little with appyling only one or two colors (only one is in here so far) and thought I would share it. Not bad, I like this better than your Sakura picture. However, what is that piece of unshaded "paper" attached to the right arm of the "carpet"? It doesn't fit the rest of the picture. here is an image off of google, that i drew. 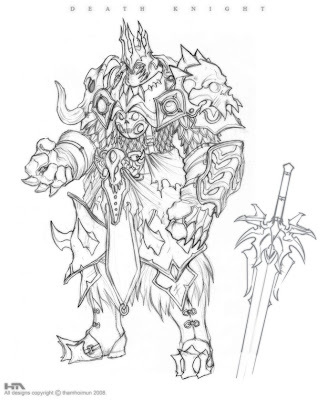 It is from world of warcraft.